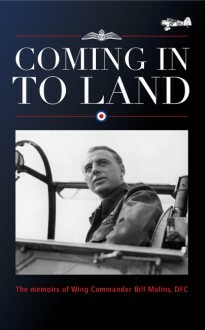 Coming in to land is the story of an Oxfordshire farm boy who went on to fight for his country as an RAF pilot in the Second World War. The early chapters tell of working dawn to dusk in the fields with horse-drawn ploughs and steam-driven threshing machines, narrow scrapes with unruly farm animals and a disastrous fire, which burned the family farm to the ground. The poverty and simplicity of the time is beautifully evoked, while the eye-witness accounts of old farming practices and life in the workers’ cottages and workhouses, along with tales of hay-tyers, gleaners, threshers, fruit-pickers and rick-builders, bring the story vividly to life. When war threatened, an appetite for hard work, a fearless attitude and a record of sporting success helped Bill to win selection by the RAF for officer training. He went on to see active service over England, France, Belgium and Italy, rising through the ranks and earning a Distinguished Flying Cross for his bravery.